Even though ankle sprains are one of the most common injuries runners suffer from, really anyone can struggle with a sprained ankle. Whether you had a misstep, slip and fall, sports injury, or another issue that led to your ankle injury, schedule an evaluation at the Center for Podiatric Medicine. With locations in the River North neighborhood of Chicago, Schaumburg, and Elmhurst, Illinois, and Highland, Indiana, you have a convenient office nearby. Book your exam online or call any location directly. How does a sprained ankle happen? Sprained ankles happen during athletic events, too, like if someone steps on your foot and you continue moving forward. Understanding the signs and symptoms of a sprained ankle and getting treatment right away can prevent long-term issues, such as ankle instability. It’s also common to feel like your ankle is going to give way when you walk on it, which is a clear sign of instability. Getting proper medical treatment early on is essential, but with a team of board-certified podiatrists from the Center for Podiatric Medicine on your side, you can expect to get relief from pain and experience a full recovery. The practice’s foot and ankle specialists also specialize in regenerative medicine, such as amniotic membrane injections, platelet-rich plasma (PRP), and extracorporeal pulse activation technology (EPAT). These soft tissue treatments are designed to promote healing and relieve chronic inflammation after a severe ankle sprain. 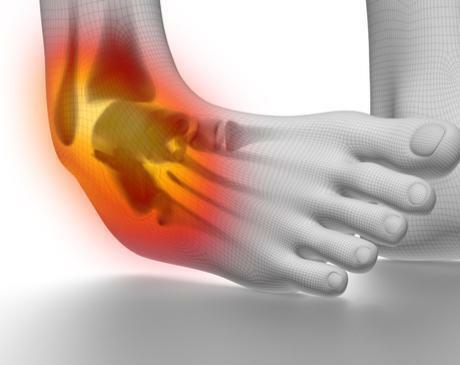 Schedule your sprained ankle appointment at the Center for Podiatric Medicine today. Click on the online scheduler or call any office directly to speak with a team member.